The breakthrough at the global carbon market for flight charges is delayed. The ICAO (International Civil Aviation Organization) Assembly postponed introduction of the carbon market in this sphere for an indefinite period of time because of opposition from Russia and a number of other countries. Despite the temporary "freezing" the process, Europe does not abandon its plans – the greenhouse gas emissions charges for flights over the European Union are introduces from 1 January 2014. The European Union has included civil aviation in the system for purchase and sale of emission quotas back in 2011. It was planned to run it in 2012, but the European Commission temporarily suspended its action on international flights. The initial scheme assumed that 85 % of quotas from 2010 baseline emissions will be provided to carriers that fly to the EU for free, and airlines will be obliged to purchase the rest at auction. Sanctions were envisaged for exceeding the free quota - € 100 per ton or a ban on flights. According to EU experts, greenhouse gas emissions in air transport account for 2 % of the total (in 2050 this figure is expected to grow by six times). Emissions trading could bring the EU $ 2 billion a year, and the first payment was due in April 2013. However, this scheme did not satisfy carriers from 27 countries (including Russia, the USA, Canada, China, Brazil, Japan and India). The main dissatisfaction was the fact that paying for emissions had to be for the whole flight route, not just for the flight over the EU territory. China, India, and the U.S. legally banned participation of their airlines in the ETS or transfer any data on emissions. Russia also considered similar measures. Against the backdrop of threats to start a trade war, the EU decided to maintain the payments only for emissions over its territory, and to freeze the large-scale version. 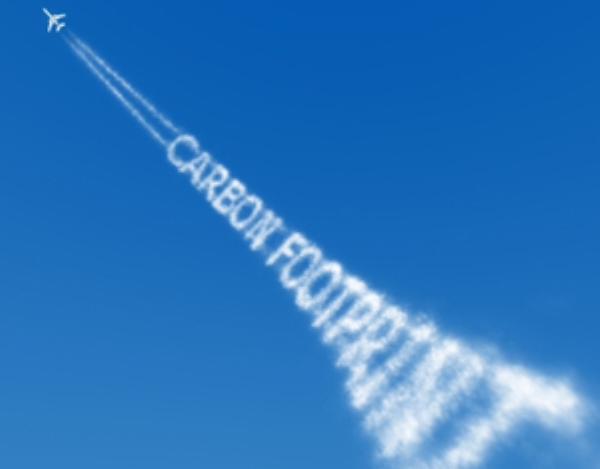 The European Commission has introduced amendment to the current system of collecting carbon credits for flights. Since 1 January 2014, it is proposed to add the payment for the part of flights over the territory of the EU, Norway and Iceland (provided that the take-off or landing are made in Europe), to the payments that are in force now. Only undeveloped countries with less than 1 % of global greenhouse gas emissions from their carriers will be exempted from the system. The proposed scheme will be in force until 2020. By this time, companies must develop a global system for emissions trading. The current Commission's proposal is softer than the scheme previously proposed - then Brussels demanded that airlines shall pay for the entire length of the route when flying to and from Europe. However, part of the ICAO Assembly participants - Russia, Brazil, India, the U.S., China and several other states - refused to support the option, in which the EU maintains for three years the right to collect payments for emissions over its territory. Then, in the course of negotiations, the opponents refused to support the "cut-down" version as well. The ICAO has estimated that airlines would have to pay $ 150 billion during 15 years due to the introduction of quotas. However, the International Civil Aviation Organization failed to develop a global emissions trading system for greenhouse gases because of serious disagreements. Now aviators and climatologists have three years to develop a new mechanism that will be introduced only in 2020. The ICAO Assembly's decision means that the introduction of ETS is postponed indefinitely. It is unclear, if Russian airlines will pay for emissions of greenhouse gases during flights over Europe. The Ministry of Transport of Russia states that the requirements do not apply to Russian airlines. The European Commission claims that everyone has to pay. Oleg Panteleev, the head of "Airport" analytical service, calls in an interview with "Kommersant" the ICAO Assembly a success for Russia: «ETS posed a serious challenge to the Russian officials, who were even willing to give up the royalties for the flight on Trans-Siberian routes to protect Russian airlines from additional fees". According to the expert, Russia has retained its trump card, and now it can be used as a bargaining chip when dealing with other issues, such as provision of additional traffic rights to Russian carriers. If the EU tries to restrict or penalize those who did not join the system, the conflict with ICAO will arise or a trade war between companies will start. Time will tell, what are the next steps by Russia. However, procrastination does not play in favor of global interests from the viewpoint of global climate processes.